Thanksgiving is less than two weeks out and we're doing everything we can to ensure we enjoy the much-anticapted family dinner. One of our biggest conundrums, however, is how tight our pants get after we enjoy the first few servings of dinner. Fortunately, Stove Top might just have the solution to this uncomfortable dilemma. The stuffing brand has released their own line of Thanksgiving Dinner Pants just ahead of Turkey Day. 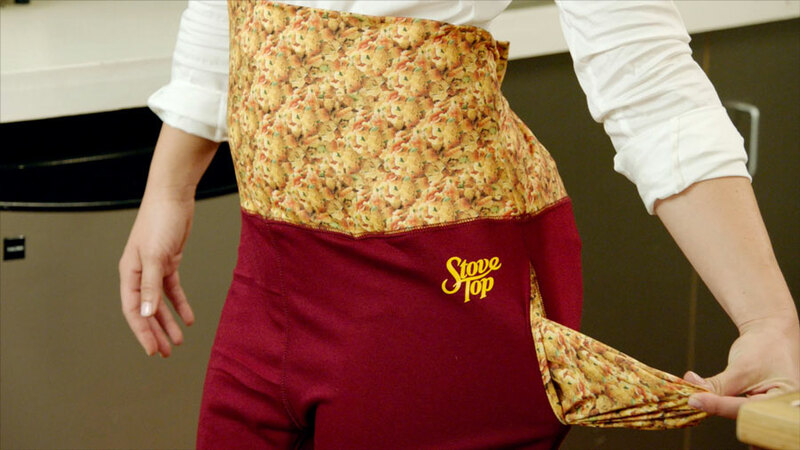 Stove Top's maroon dinner pants feature an over the belly waistband, stuffing print, and extra large pockets. Checks off pretty much all our requirements for pants. You can purchase the pants beginning Nov. 13 for a limited time at ThanksgivingDinnerPants.com for $19.98. The pants are available in sizes from small to extra-large. Looks like old Pete won't be needing a belt this year. Stove Top is also donating $10,000 to Feeding America in the spirit of the holiday season.